Trim the header to length if necessary and insert it (long pins down) into your breadboard. Place the breakout over the exposed short end of the header pins. Solder all pins to ensure good electrical contact. 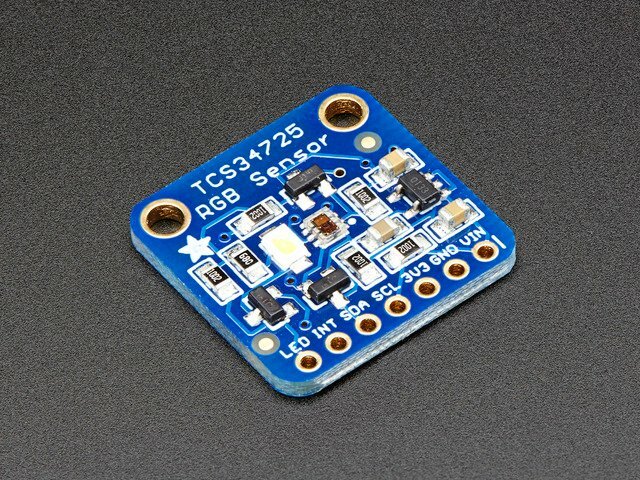 These sensors communicate via a 2-wire I2C interface. To connect to the processor, you need a total of just 4 wires. Note: On older Arduinos such as the Duemilanove and pre R3 UNOs, SDA is on Analog 4 and SCL is on Analog 5. On pre-R2 Megas, SDA is on Digtital 20 and SCL is on digital 21. For the Leonardo, SDA is digital pin 2 and SCL is digital pin 3. Wire directly to ground to turn it off completely. 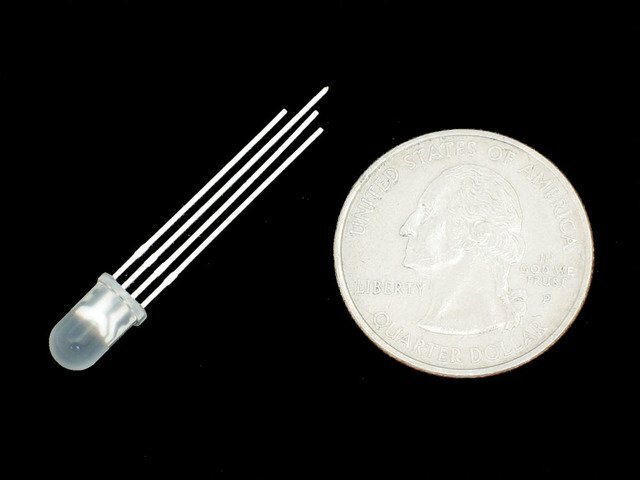 Wire to a spare digital pin and control it with digitalWrite(). 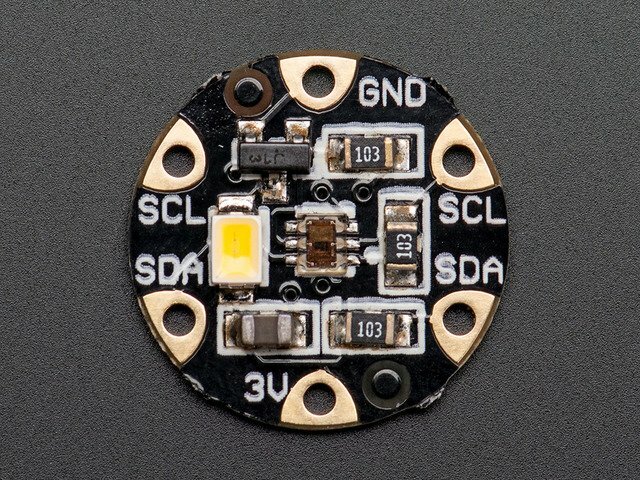 Wire the LED pin to the INT pin and control with setInterrupt() (See Library Reference for details). This guide was first published on May 21, 2013. It was last updated on May 21, 2013. This page (Assembly and Wiring) was last updated on Apr 23, 2019.